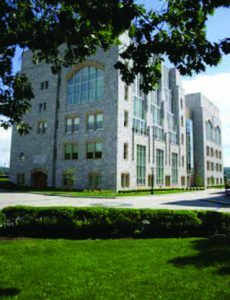 Natural stone has many innate attributes that make it a green building product: it is natural, low-maintenance, and exceptionally durable. 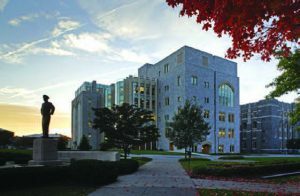 However, with the growth of the green building movement, it is worth considering how these and other properties of stone can contribute to sustainable design projects and green building certifications. points in several of these categories. MR: Due to the durability of stone, there are several credits in the MR category that can potentially be garnered. MR Credits 3.1 & 3.2 Materials Reuse, 5-10%: These credits apply if salvaged stone products can be reused for another purpose in a building design. MR Credits 5.1 & 5.2 Regional Materials, 10-20% Extracted, Processed & Manufactured: These credits apply if the project uses natural stone that has been extracted, harvested or recovered, as well as manufactured, within 500 miles of the project site for a minimum of 10% (based on cost) of the total materials value (if only a fraction of a product or material is extracted/harvested/recovered and manufactured locally, then only that percentage, by weight, contributes to the regional value.). In anticipation of the development and release of LEED 2009, a revised point system based on the application of lifecycle assessment to support LEED credits, the Natural Stone Council has just completed an extensive benchmarking exercise of its member operations. The resulting life-cycle inventory data sets have been made publicly available on the NSC website to make transparent the extent and affect of their operations and to support an informed decision regarding stone products. The datasets can be accessed at https://naturalstonecouncil.org/education-training/stone-sustainability/. The green building movement has inspired numerous other green building certifications and programs in the US and abroad. Some of these programs, such as The Living Building Challenge, seek to inspire builders, owners, architects, engineers, and design professionals to build environmentally sound and self-sustaining buildings—buildings which actually “give back” to the ecosystem in which they are built. Developed in 2005 by the Cascadia Region Green Building Council, the Living Building Challenge promotes “no credits, only prerequisites;” buildings must meet requirements such as generating all of its own energy with renewable resources, capturing and treating all of its water on site, and using resources efficiently and for maximum beauty.7 The program is comprised of six performance areas, or “petals,” including Site, Energy, Water, Materials, Indoor Quality, and Beauty & Inspiration. Each petal includes prerequisites that must be met in order to achieve that specific performance area designation. The Living Building Challenge and SPiRiT are just two of many examples of green building standards and programs that have taken off since the success of the USGBC’s LEED program. Their existence demonstrates the continued growth in the green building movement and the ways in which such tools can be used to develop and inspire eco-efficient, healthier buildings. The authors wish to express thanks to the staff of Holzman Moss Architecture for their kind assistance and provision of materials on both the ImaginOn and Jefferson Hall projects. U.S. Green Building Council. 5 September 2007. https://new.usgbc.org. Subasic, C.A. 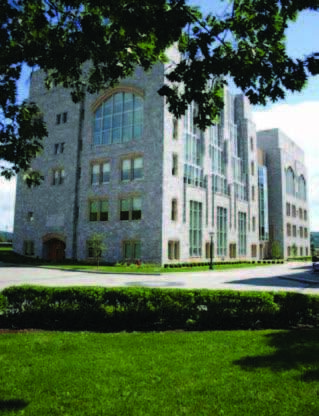 “Sustainable Design and Natural Stone,” Masonry Construction Magazine, January 1, 2008. 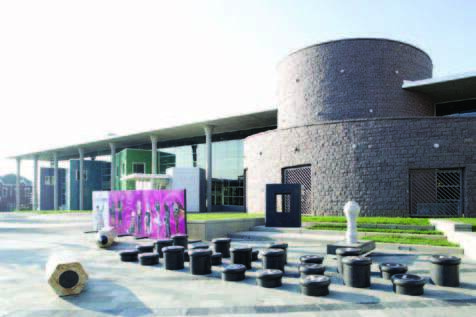 “Thin Brick and Thin-Cut Stone Take on Full Dimension Masonry Products,” Architectural Record, December 2007. Cascadia Region Green Building Council Living Building Challenge, 26 August 2008. U.S Army Corps of Engineers Engineer Research and Development Center. Sustainable Project Rating Tool (SPiRiT), January 2008. U.S Army Corps of Engineers U.S. Army Assistant Chief of Staff for Installation Management. Sustainable Project Rating Tool (SPiRiT), Version 1.4, April 2001. Holzman Moss Architecture. Case Study: ImaginOn: The Joe and Joan Martin Center. Holzman Moss Architecture. Architectural Fact Form: ImaginOn: The Joe and Joan Martin Center. Holzman Moss Architecture. 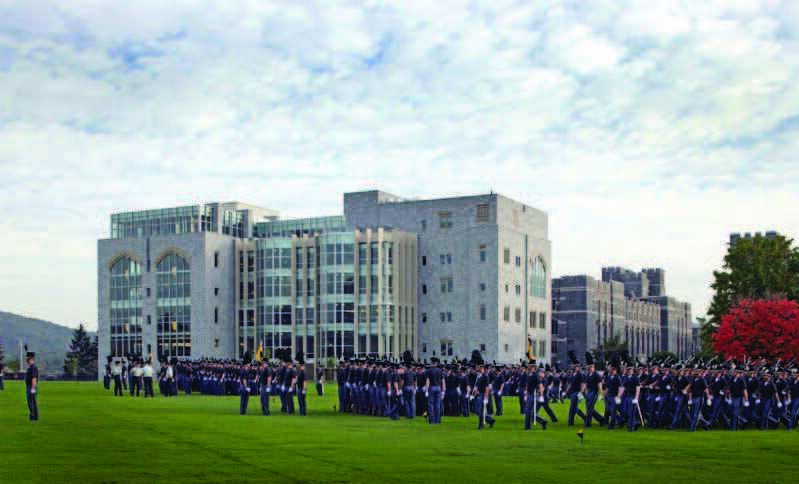 Case Study: Jefferson Hall-USMA Library and Learning Center. 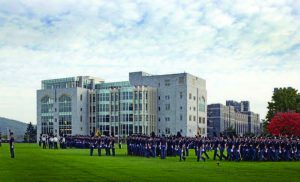 “West Point Builds a Commanding New Library and Learning Center for the Information Age,” press release, June 2008. Natural stone is a key aspect of the design. 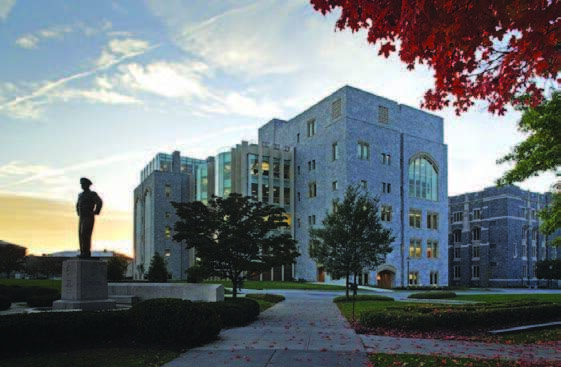 East and West granite-clad towers provide harmonization with adjoining Gothic style structures, using regional stone and contributing points to the bronze SPiRiT certification. In order to match the stone used in the adjoining Eisenhower Barracks, a section of the Fletcher Granite Quarry was reopened, contributing more than 130 tons of hand-tooled stone blocks.